The first aim of the scientific endeavor is to try to understand this diverse world, how it functions, and the laws that regulate its dynamic. A second, but no less important aim, is to find some unity in this diversity. In carrying out this analysis, the scientist defines the “system” that is the subject of study, which normally is a part of the world itself composed of subsystems or units, in some cases identical in other cases different, interacting among themselves. A system may be, for example, an atom, a cell, a brain, a group of human beings, a galaxy, or a cluster of galaxies. A system may be “open” or “closed” depending on whether or not it exchanges matter, energy, or momentum with its surroundings. The systems with which science deals differ in complexity. 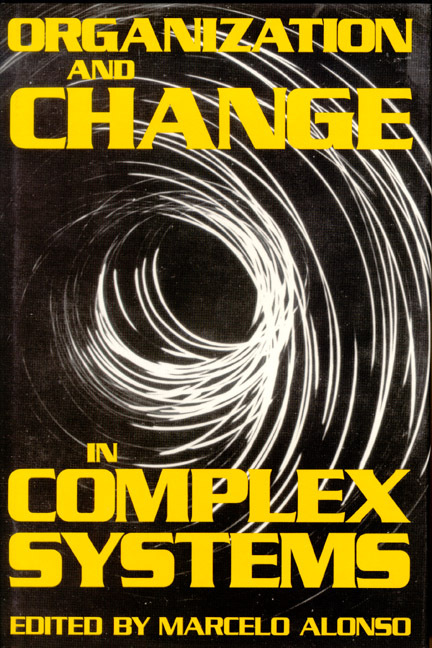 Regardless of how we define complexity, what we observe in the universe is a continuous process of change by which new systems with different forms of order or organization appear at the expense of a previous one; systems evolve inexorably toward new levels of order or organization (and thus complexity). But all these highly ordered or organized systems appear to be immersed in a sea of equally disordered or disorganized systems such as a crystal surrounded by molecules of air. The emergence of life on Earth poses several challenges. Can the origin and development of living systems be explained in terms of the physical laws? Was the emergence of the kind of organization associated with life an inevitable event? What kind of chemical precursors were needed for the emergence of life? Does life exist in other parts of the universe? Living systems are extremely complex and far from equilibrium but in a steady dynamical state. Although the problem of organization and change in complex systems is far from being settled, the chapters and notes in this volume provide new insight and one hopes it may contribute an integrated approach to the subject. MARCELO ALONSO is Executive Director at Florida Institute of Technology, Research and Engineering, Inc., in Melbourne, Florida.